Historically it has been a challenge to help people living with rare diseases to connect with each other. But the rise of digital and social media has provided many new tools and platforms to build stronger patient communities and to provide support and raise awareness. 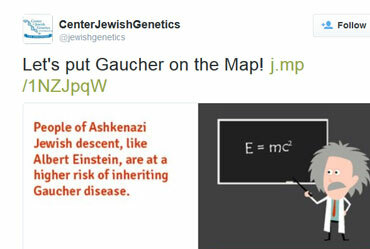 Gaucher disease is a rare genetic disorder that can affect anyone, but it is most common among families of Ashkenazi Jewish decent. Our client developed the first therapy to treat Gaucher disease more than 20 years ago. 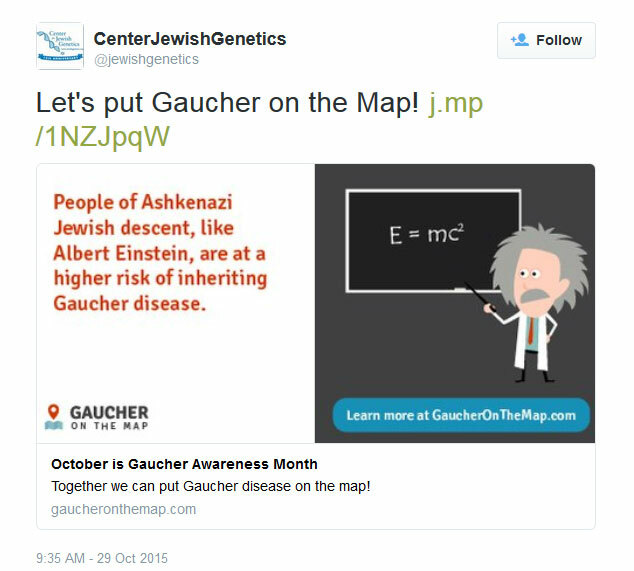 In recognition of Gaucher Awareness Month, we were asked to develop a program using social media to help more people learn about the impact of Gaucher disease. 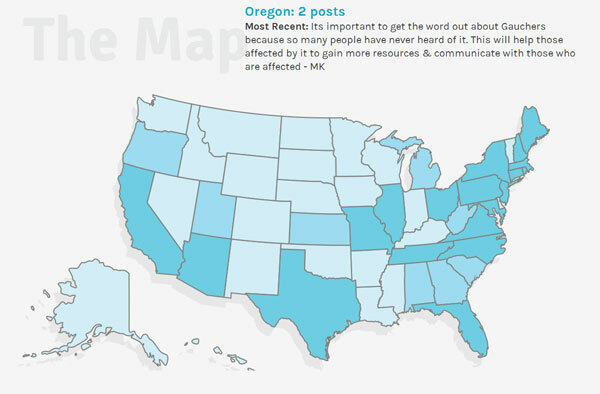 Within one month, we developed an interactive website featuring a map of the United States where participants could post messages of support for the Gaucher community and "light up" their home state. The website included a plug-in to social media platforms including Facebook, Twitter, and Pinterest that allowed participants to easily share memes and infographics with facts about the disorder. Our goal was to light up every state across the U.S., connecting the Gaucher community from coast to coast. We promoted participation through traditional media relations and planned and executed a social media "Thunderclap" event to spread the word. 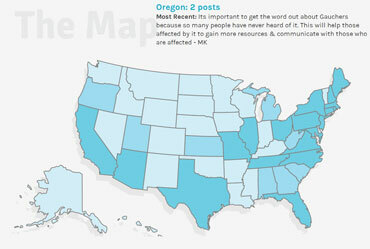 In one month, messages were posted on our interactive map from all 50 states and we reached more than 18,000 people on social media. The program earned praise from key stakeholders including the National Gaucher Foundation and the Massachusetts Biotechnology Council.